What a lovely, lovely book. Fans of Sandra Cisneros, don’t be put off by the sometimes-classification of this short fable as a children’s book. Cisneros says in an afterword that she certainly never thought of it that way; she intended it for adults, and I can confirm that it works that way, very well. 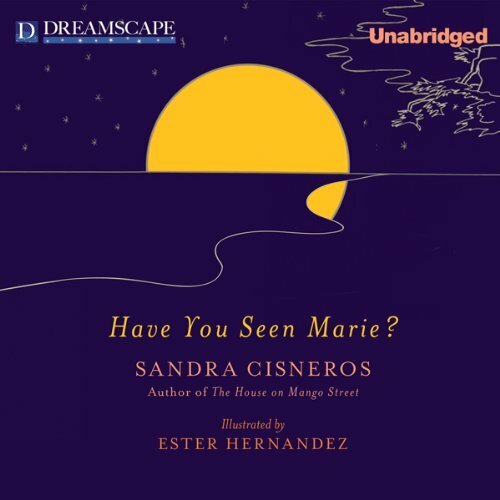 This is a short, dreamy, poetic tale of a woman, the narrator, who has just lost her mother; a visiting friend (“I was the only person Rosalind knew in all of Texas”) has lost her cat, Marie. Together, the two women go walking the streets of San Antonio, distributing fliers and asking folks the title question: Have you seen Marie? As I mentioned, Cisneros is careful to point out that this was not meant to be a story for children, but rather one for adults, with the idea of helping others like herself deal with experiences like hers: losing a parent, or a loved one. I am very (very) glad & relieved that I don’t seem to facing this experience now, or soon; but I imagine that this book would indeed help. I appreciate its soothing musical tone and gently loving, inspired advice and creative understanding of death, what it means, the grieving process. It is a tender tale. Cisneros is inventive and calming and this is a beautiful, moving story about family and friendship. I highly recommend it, for anyone. This audio version is read by the author, and so beautifully; I love her lilt; it’s perfect. I want to very much recommend this version (in both English and Spanish in one edition – one cd of each). But then, the print copy is illustrated by Ester Hernandez, and Cisneros is clearly very pleased with that aspect. Hearing her speak about their collaborative efforts on the illustrations (Hernandez came to visit & tour Cisneros’s San Antonio; she calls it documentary-style) made me regret missing the print. So there you are. Both, perhaps?? I think I will go out and get myself a copy of the book, too. Rating: 10 trees along the San Antonio River. I wasn’t sure I needed to read this until you said the bit about the animals’ reactions’ being “noted, and charmingly represented as being every bit as important as the people’s.” I guess that speaks to the kind of sensitivity I’m looking for in a storyteller. Thanks for the recommendation! I do think sensitivity is a strength of Cisneros’s. Happy to share. 🙂 Thanks, Sharon.